In September 2013, Hannah made her first visit to SickKids. After falling into a shelf at daycare reaching for a hat (um, totally in her DNA) she had a deep cut just below her lip. After quickly being seen by kind nurses and a doctor in the ER, it turned out due to the location of the cut, it was better healed on its own. As we left SickKids, I was overcome with how lucky I am – to live in a city with an amazing children’s hospital AND to leave said hospital with my child in under an hour. Some other families are facing much greater challenges than a deep cut. Some spend days at SickKids, weeks, months even. Our family friend Katie is one such pint-sized patient. Her hand-me-downs hang in Hannah’s closet. In November 2013, at the age of four, Katie relapsed and began her second fight against Leukemia. This time around, only a stem cell transplant could save her. After months of searching and raising awareness, a match was found! On April 3, 2014, Katie had a stem cell transplant at SickKids. She is still recovering, but doing well – and her spirits are raised due to the great care of her excellent doctors and nurses at the hospital. Let’s help Katie and kids like her. 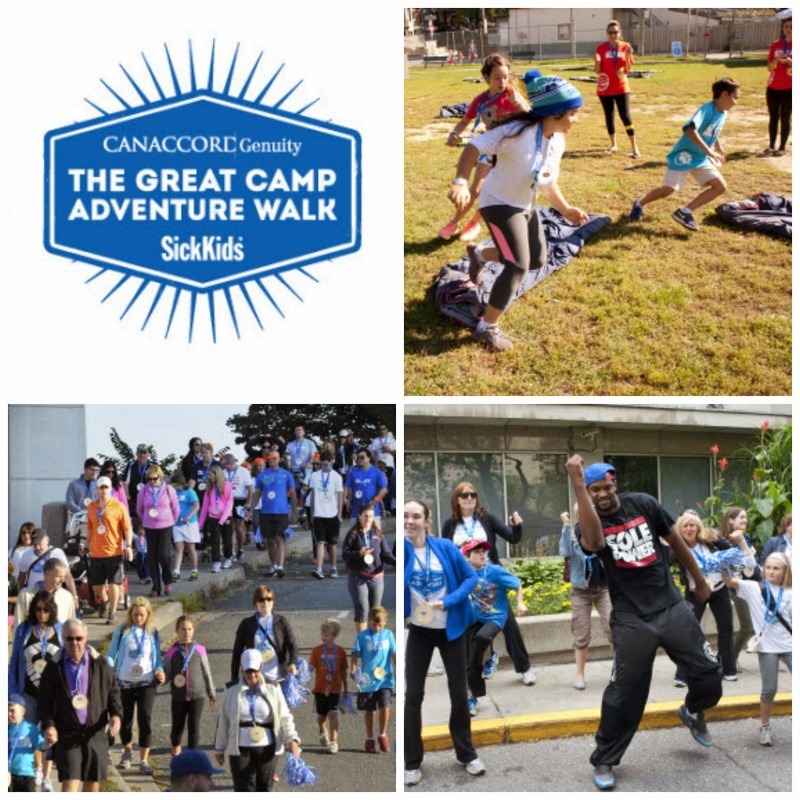 In order to participate in the Great Camp Adventure Walk, adults are required to raise a minimum of $500 and youth (age 5-7) are required to raise a minimum of $150. In addition, there is a $65 (adult) and $35 (youth) registration fee. Children 0-4 are not required to pay a registration fee or fundraise. Asking family, friends and co-workers to sponsor you. Sharing, sharing, sharing on social media. Baking cookies, washing cars, pulling weeds. Ask for a sponsorship donation in exchange. Giving the Great Camp Adventure Camp Counsellors a call at 416-445-3377 - they’re there to help and give tons of fundraising tips and advice. I’m so excited to share the experience with Hannah this fall. Will we see you at one of the campsites? I love that just like Sick Kids this is a family event. Would love to take part - sounds absolutely fantastic. Love the stops along the way and the stroller friendly route. Perfect for families of any age. Sorry to hear about Hannah - hope she recovered quickly! I think I would love to do this, we've benefited from a children's hospital before in my own city when my daughter was in the NICU and I really love all the work SickKids does. I would love to take part in this event. The Sick Kids hospital is a space that is very close to my heart as I went there myself when I was a child.